Speaker Niger State House of Assembly, Hon. Ahmed Marafa has reiterated the commitment of legislators towards surpassing the Abuja 2001 Africa Union Declaration of 15 percent provision for the health sector before the end of the 8th Assembly. Hon. Ahmed Marafa represented by the Deputy Speaker, Hon. Hussini Ibrahim stated this last Friday when members of Civil Society-Scaling Up Nutrition in Nigeria (CS-SUNN) under the Partnership for Advocacy in Child and Family Health (PACFaH) project paid a follow up advocacy visit to the State House of Assembly to remind them of their commitment to improve on budget allocation among other issues raised during their Lagos retreat. Hon. 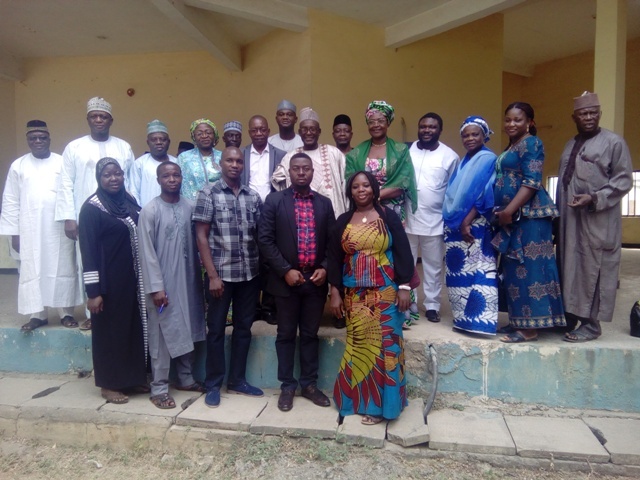 Ahmed Marafa said the timing of the visit was apt noting that it would add value to the 11 percent already allocated to the health sector in the proposed budget presented by the Governor adding that the wellbeing of citizens was paramount to them. On the issue of adequate funding, he said the state has graduated from 8 percent allocation to the health sector in 2016 to 11 percent in the proposed budget of 2017 promising that CS-SUNN should expect more improvements as the budget is still at the crafting stage. The Speaker noted that lack of release and untimely release of allocated funds in the budget previously experienced especially by the health sector would be reduced to the barest minimum and challenged the affected MDA’s to work in collaboration with the relevant house committees to aid timely release of allocated funds. Speaking on the 34 percent stunting rate in the state, Hon. Ahmed Marafa said the problem was as a result of lack of information on appropriate feeding especially at the rural areas where the literacy level was low adding that the state does not lack food as it can feed the entire nation and urged CS- SUNN and the relevant MDA’s in the state to re-strategize especially in the area of sensitization. Mrs Beatrice Eluaka, Project Director, CS-SUNN in her remark said the visit was to remind members of their commitment and urged them to take their resolutions into consideration as they discuss the budget. Speaking on the effect of stunting, the Project Director said globally, stunting as an indicator of development, needs to be checked in the state if one out of every three children are stunted in the state which she noted would affect the development process of the state and called for an urgent steps to be taking to manage stunting. She said one of the cheapest interventions in Nutrition was exclusive breastfeeding and urges the state to put machinery in place aimed at encouraging exclusive breastfeeding. She commended the state on the progress made so far to attend the Abuja Declaration adding that the state was not there yet but with the recent allocation of 11 percent in the proposed 2017 budget and promise for more, the state health indices would improve.